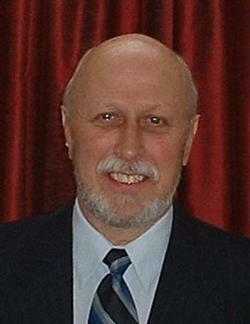 (To Ron's Brokers) Ron Jeleniewski was recently successful in selling our rental property in Emmett. Prior to that sale Ron had acted as our property manager/agent for several years. Throughout both the management of the property and the listing and sale of it, Ron exhibited exemplary client service; he was always prompt, he communicated quickly and clearly when events dictated, and he always acted in our best interests. Perhaps the most significant aspect of Ron’s service was the fact that he devoted the same personal attention to our property needs that he provided to other properties that were much more valuable and that would provide much greater return to him. Be aware that we had owned the Emmett property for over 10 years and have had several other rentals in different states; Ron is by far the most supportive agent we have had and carried that attitude into the listing and sale. Throughout our history in working with Ron there are many examples of superlative work ethic as well as devotion to client service and satisfaction. I would be happy to expand upon those instances if you would care to contact me. I have worked in the field of Quality Assurance and customer satisfaction, in a variety of industries and services, for over 25 years. It is my philosophy to recognize and communicate superior focus on customer satisfaction, and “going the additional step” when I experience it (it can be uncommon); hence, this email communication to you. This will be my 15th move in 18 years. As I have relocated for work projects, I have worked with many Real Estate agents. All have been kind and hard working. All have stated they have my best interest at heart. However, I found that over time their dedication and responsiveness was directly correlated to the value of the property and opportunity to close on the property. In contrast, you are one of only two agents that has behaved as a true fiduciary. Your professionalism and recommendations have confirmed time and time again that you have been truly interested in what is best for me and my family. As such, I wouldn't hesitate to recommend you to anybody that is looking for an agent that is honest and trustworthy. Thank you again for your caring and professional treatment in my family's search for a home. Your professionalism and kindness are appreciated and refreshing. Your are not just a great agent, but have become a life-long friend. Ronald went to a great deal of effort to determine what we desired as regards location, amenities, and property potential. He spared no effort to find the perfect home for us. The passage of time (3 1/2 yrs now) has proved he knew what we wanted even better than we did... we love the place more with each passing day. RJ, Thank you SO much for All your hard work & sacrifice for us. We are so amazed at the way God orchestrated this whole event & we are SO Blessed to have you as part of our lives. We look forward to sharing more of our lives with you when we move to (Idaho) ! Thanks....Thanks & more Thanks! In four short hours, Mr Jeleniewski was able to introduce me to the Emmett ID Real Estate market and locate 10 properties which met our criteria for our retirement investment. He arranged to walk through most of the properties and was honest in his evaluation of the pros and cons of each one we viewed. He followed up our time together with more properties by internet he thought we might be interested in seeing in other Valley communities. We can highly recommend him. RJ- We really appreciate all your help with buying the house for Kimberly. It's been so nice to work with someone who is ethical and has a great attitude. Thank you for being positive and cheerful. We'll definitely recommend you highly to any of our family in Boise should they ever need a realtor! Ronald was very helpful to me, i came from CA to buy a retirement home and he took me to several properties and was very patient and answered all of my questions. he took me through the whole process explaining everything i would need to know as we went along. he was kind, patient and knowlegable and i would definately buy another house from him! Ron not only helped us find the perfect home for us he also got the best price from our home we sold. He is very prompt and eager to please. not only does he walk you through the whole process he continues to follow up and help you to be totally at peace with the transaction.I highly recommend Ron as a very professional real estate agent. Ronald was dedicated in finding my family and I our first home. He was vary patient with my wife and I as we went through house after house trying to find our home. As he told us, we will know the minute you walk in, and we did. Thank you Ronald for the many hours it took to find our first home. Ron is very caring person. He treats his clients the way he would like to be treated. He studies all angles of the job to get the highest price and is very honest about the report and what it means to you. I found him to be more aware and confident about his proposal. I highly recommend Ron. He also helped me with a rental that was also successful. Ron is very cordial, communicates in a clear and timely manner, and always has the best interests of the client uppermost in mind. I continue to be impressed with his honesty and ethical ways of doing business. We would certainly and wholeheartedly recommend Ron. We purchased a home in Idaho while still living in California. While there were a few challenges Mr. Jeleniewski went above and beyond to ensure we were always informed and communicated with the seller in an efficient and professional manner. We highly recommend Mr. Jeleniewski.